You may be Using many code snippets in your blog post. Obviously the code snippets is the important part of your blog and you want to make it more attractive and stylish so that the reader can pay much attentions to your it. 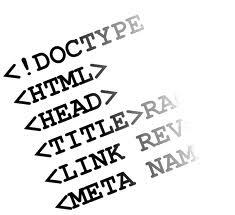 You even Do not want to write a code every time for formatting your code box area by using a textarea field in your html code. So why not add a CSS code to your HTML and use it whenever You need it for your code box. 1.Using Text Area is simple and Good for Code box.Text area is separate box used to write text. 2. Writing Class in CSS for a Div and then write Your code within that Division. Following steps should be followed!! 2.3.Put above code and paste it just before the ]]></b:skin> word. 2.5.Write your code within that div. add below CSS to your HTML just bfor ]] </b:skin> word. So Accordingly You can chose one of above method and make your codes more impressive for your readers. Wonderful sharing of this post. thanks for sharing.